The Snapchat app is still a dumpster fire, but now it's a dumpster fire that can look up products on Amazon. 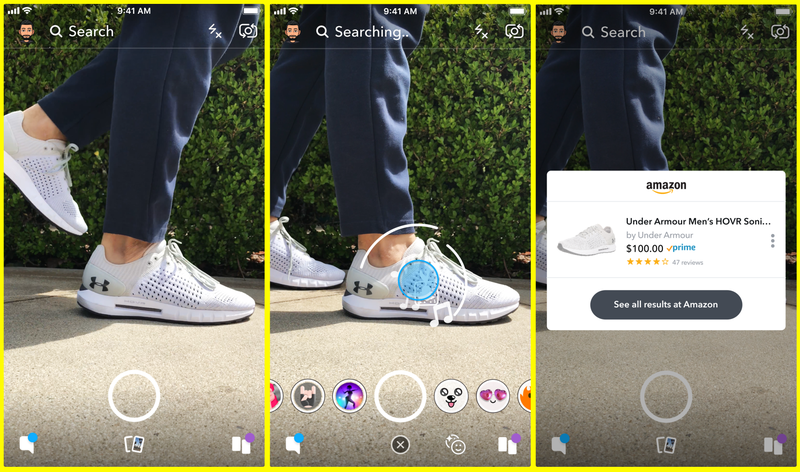 While work continues on the revamped Android application, Snapchat has decided to add Amazon searching to the camera screen. Because that's totally what users want, right? The new feature is slowly rolling out to all users on Android and iOS. When you hold your phone in front of a product or barcode and tap the screen, Snapchat will attempt to look up the item on Amazon. Perhaps the company is looking to make up lost Spectacles revenue with Amazon affiliate money.